Electronic products are made from valuable resources and materials, including metals, plastics, and glass, all of which require energy to mine and manufacture. Donating or recycling consumer electronics conserves our natural resources and avoids air and water pollution, as well as greenhouse gas emissions that are caused by manufacturing virgin materials. Whether you need computer recycling, electronic recycling or data destruction, come to us for reliable and efficient service. 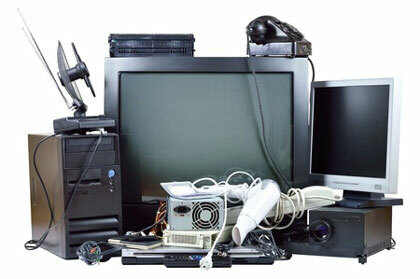 We will schedule a pick-up from your home which will allow you to dispose all of your e-waste. Yes, we do have a charge to pick up your electronics. The fee is determined by your location. Please contact us for more information on scheduling a pickup of your unwanted electronics. Residents always can drop off- their e-waste for FREE. We accept drop- offs Monday- Friday from 10am- 3pm. We do not accept drop- offs on Saturday or Sundays. Items containing mercury, bio-waste, hazardous waste, paint, liquid or chemical waste, oil, and cloth.